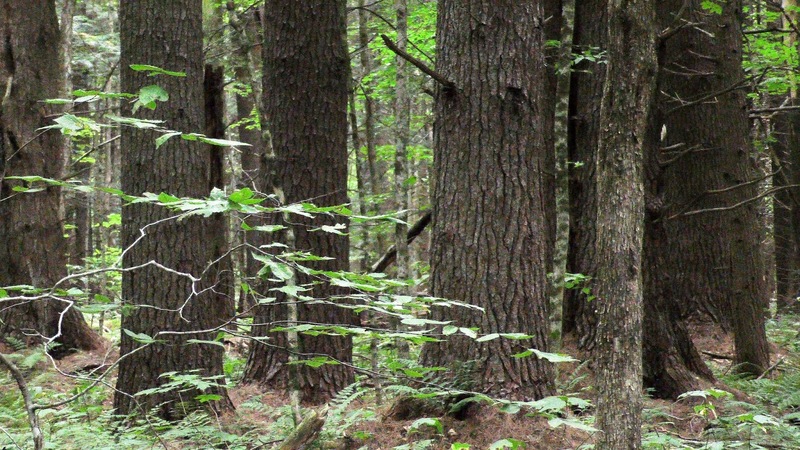 Upcoming Screenings of "Lost Forests of New England"
The Lost Forests of New England film continues to attract audiences who are eager to learn about the remnant old growth forests of central New England. It was screened on January 23 at the Hitchcock Center for the Environment in Amherst, MA, to a full house, with scores of people on a waiting list or turned away at the door. A Hitchcock spokesperson said it was one of the best attended programs they've had since they opened the center! We'll be scheduling a second showing there later this year. In the meantime, we have several more showings on the slate. First, the film will be shown at the Mass Audubon Arcadia Wildlife Center in Easthampton, MA, at 7pm on March 22, 2019. Registration is required. On March 28, 2019, the film's Connecticut premiere will be in the beautiful Cinestudio theater on the campus of Trinity College, Hartford CT, at 7:30pm. You won't want to miss this! In connection with Earth Day, we will present the film on Sunday, April 21, at the Gateway City Arts center in Holyoke, MA, at 3pm. Following each screening, there will be a panel of several experts who will conduct a question & answer session. Check each venue's website for specific details. At each presentation, a limited number of a special, valuable gift will be given away as well. Hopefully you'll be one of the lucky recipients! If you live within driving distance of Amherst, MA, you may be interested in an upcoming screening of The Lost Forests of New England, to be presented on January 23, 2019, at the Hitchcock Center for the Environment. 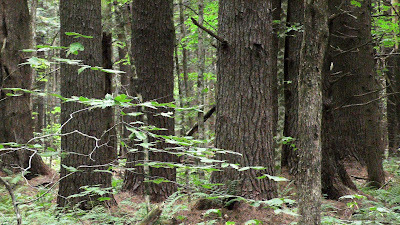 The 7pm showing will feature our film, which is the story of central New England's old-growth forests... what they once were, what happened to them since European settlers arrived, and what remains of them today. 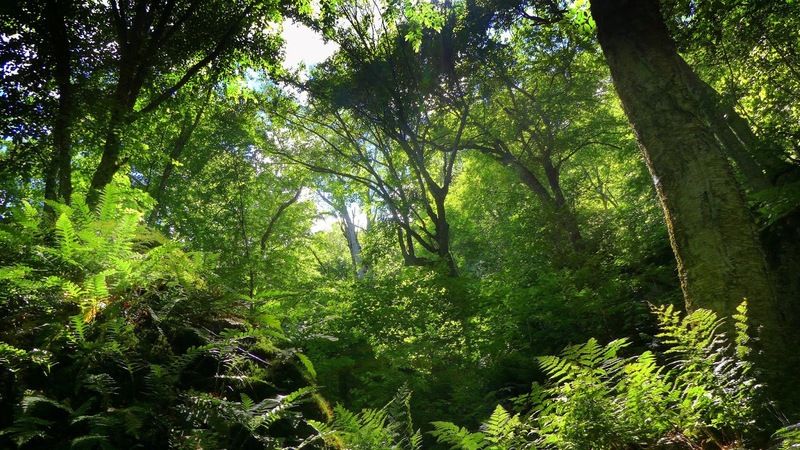 Characteristics of our primitive forests will be highlighted, as well as their many ecological values. 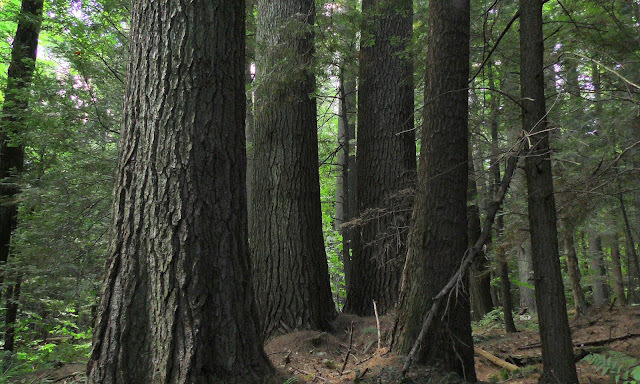 Following the film, there will be a panel of experts to answer questions about our remnant New England old-growth forests, and to discuss the need for forest expanses of large, old trees as a remedy for climate issues. The panelists will include nationally known old-growth forest sleuth and author Bob Leverett (who appears in the film); Bill Moomaw, Professor Emeritus of the Center for International Environment and Resource Policy at The Fletcher School, Tufts University, and Chair of the Woods Hole Research Center; and Ray Asselin, the filmmaker. 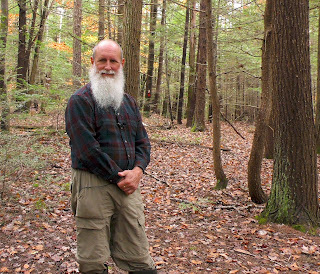 Bob, a retired engineer and mathematician, has been exploring, measuring, documenting, and writing about old growth forests across the country for many decades. Bill is a retired chemist and has a long list of credits and accomplishments in the field of climate policy. 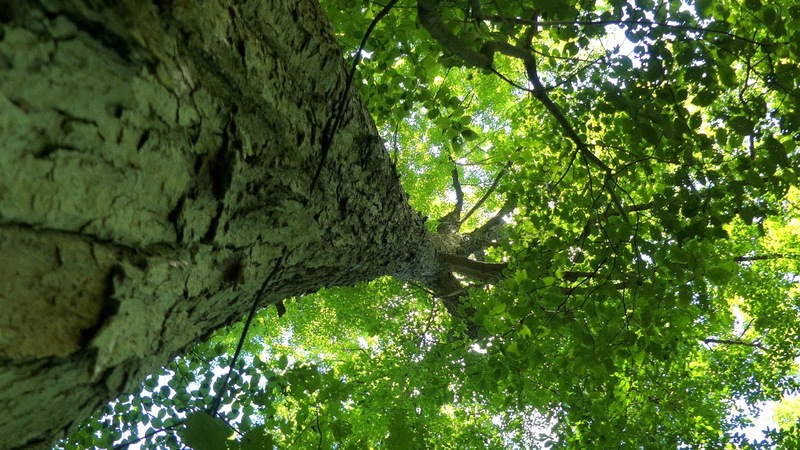 They are currently collaborating on a scientific white paper to document the importance of large, old trees in sequestering carbon, a topic of much scientific interest today. 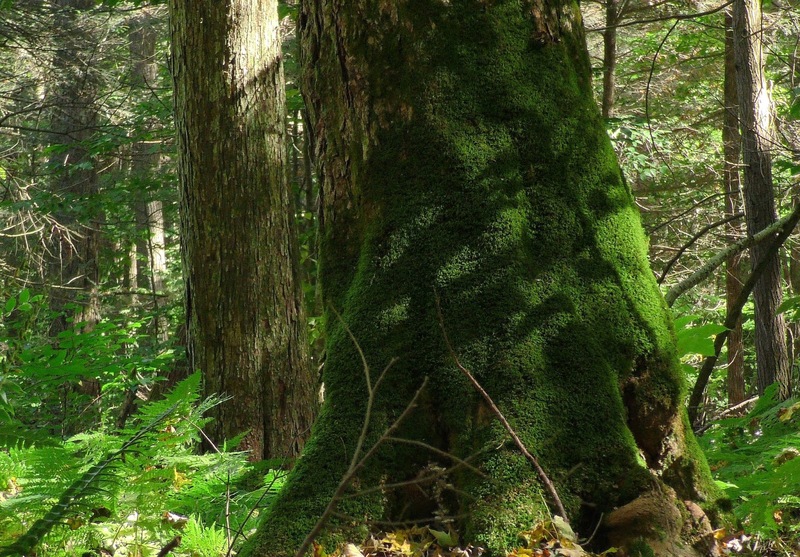 This will be an excellent opportunity to learn about ancient northeast forests and why more and more people are now recognizing their value, beauty, and importance. For specific event information, contact Hitchcock Center for the Environment. Owners of dogs and cats are well aware of the problems caused when their pets have worms. Luckily, there are remedies for those mammalian issues. 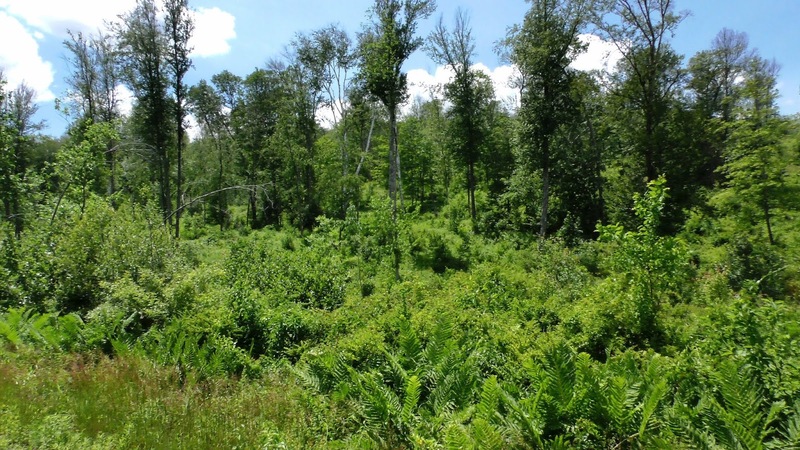 But now there's another serious invasive forest pest, one that we have welcomed, and thought was completely beneficial; one that has insidious behavior, yet seems so benign and desirable to have around. It's advancing into our northern forests, altering their composition, even destroying them. And there's no remedy, no pill to stop it. What hideous critter is this? Scientists call it "Lumbricus terrestris". Most of us know it better as ... the common nightcrawler ! Actually, it's not just the nightcrawler that's a problem, but a number of earthworm species, none of which belong here. In the northern reaches of the U.S., where glaciers occurred, there are no native earthworms (states south of the glacier's limit do have native earthworms, which are not a problem in those forests). First, the background story. Ten thousand and more years ago, huge glaciers covered the northern portion of our continent, as far south as New Jersey in the east, west through the Great Lakes region to the west coast. No native earthworm species, if they were here prior to the glaciers, survived under the ice sheets, which were thousands of feet thick. In the post-glacial period, our forests grew back, following the melting glaciers northward. 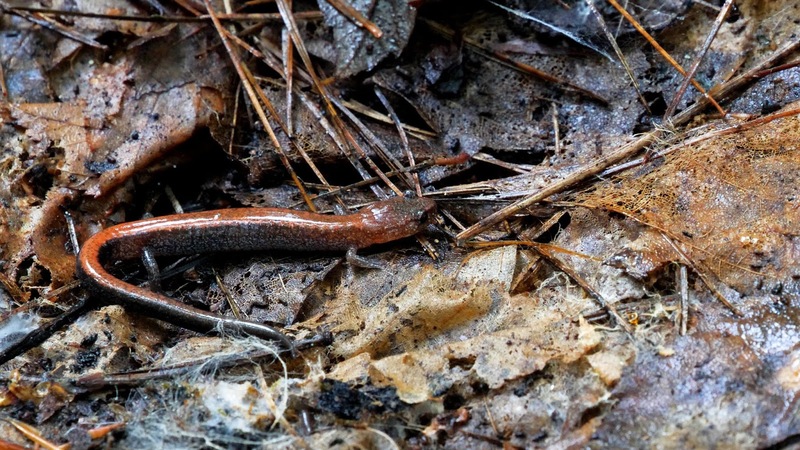 But native earthworms in the unglaciated regions to the south only advance in the soil a couple dozen feet or so per year, so they couldn't move northward as fast as the forest did when glaciers retreated; thus, our northern forests have existed for millennia without them, and are adapted to the worm-free habitat. Each autumn, as leaves fell, they accumulated on the forest floor; they were slowly decomposed by fungi, microbes, and other organisms. 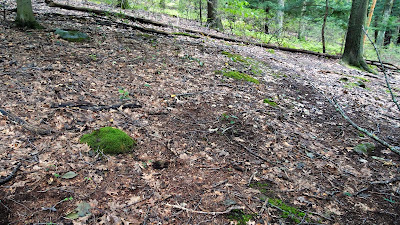 But the breakdown was slow, and the organic duff layer was thick on the forest floor; in fact, that's what the duff layer is known as: "the forest floor". without worms, that layer can be 4 or 5 inches deep. It is an insulating blanket, helping to protect from freezing temperatures in winter, and hot, drying conditions in summer. It's the zone where most rooting takes place, because the duff is well aerated and spongy (you can feel that as you walk on it), holds moisture, and contains the most organic nutrients. Roots that penetrate below the floor layer into the soil act as anchoring roots, but most nutrient uptake is done in the compost-like duff. 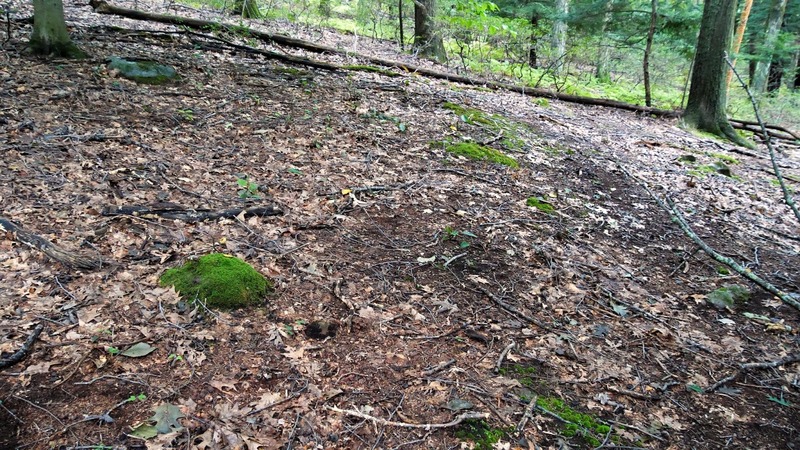 In an undisturbed forest, that floor layer becomes a giant web of mycorrhizae, which are root cells modified by the presence of certain fungi (eg, amanitas, boletes, chanterelles, etc). Fungi can't photosynthesize like green plants do, so they can't manufacture their own food. Instead, they either obtain it by decomposing organic matter (in the case of one class of fungi), parasitizing living organisms, or through a complex partnership with plant roots (mycorrhizal fungi). In the latter case, the fungi help to make nutrients and water available to the plants, which in turn surrender food to the fungus. It's a symbiotic relationship, each partner benefiting from the other. (As an interesting side note, it's been reported that the largest known organism on Earth is a fungus in Oregon that is thousands of years old, and occupies nearly 2400 acres! However, it's not a mycorrhizal fungus). The largest percentage of plant and tree species (80% or more) have mycorrhizal relationships, which are highly important to plants, particularly in poor soils. Mycorrhizal fungi excel at gathering phosphorous from the soil, and trees in nutrient-poor soil do far better when they can form mycorrhizae. That's how a proper forest should be working. Notice how there's no duff under the thin layer of leaves (not to mention the obvious lack of green plant life on the ground). 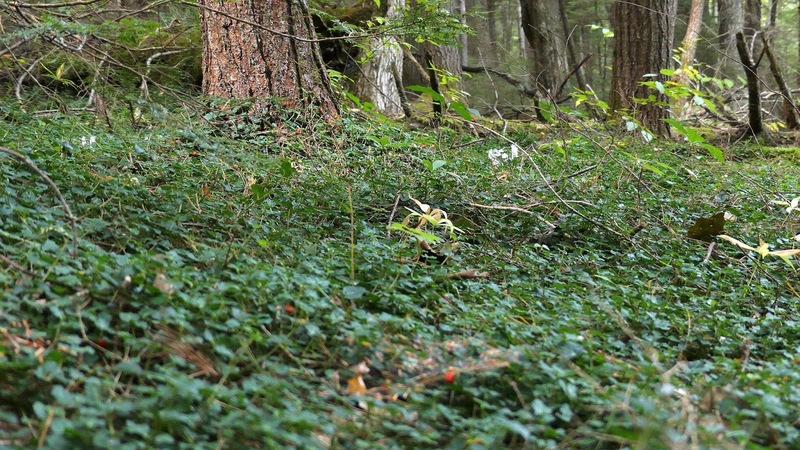 The photo was taken at the height of the growing season, in a suburban forest. There are some plant species that don't participate in mycorrhizal relationships, and may survive the onslaught. 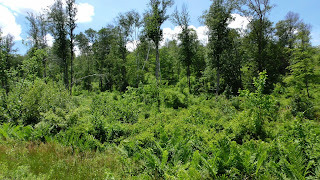 So you may see a diminished complex of plants, comprising a sparse variety of species, with things still looking green. For example, Pennsylvania sedge may take over the area. 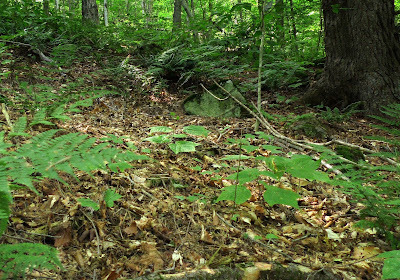 You may find Jack-in-the-pulpit, or False Solomon's Seal. Serviceberry (Shadbush), and Hophornbeam. Their seedlings don't do well without the duff's benefits. Ash seedlings, however, can do well (but they're under severe attack now by the Emerald Ash Borer). 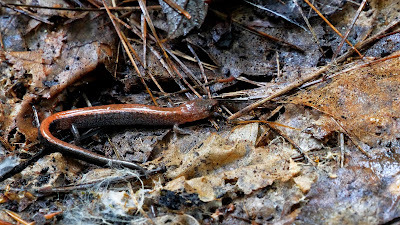 Nightcrawlers prefer to eat the most nutritious leaves, so the fallen basswood and maple leaves tend to go first; when they're gone, oak leaves will be eaten. The population of worms will be greater in the forests with the greatest quantities of the leaves they prefer, so basswood/maple forests tend to be affected more than oak/beech woods. The forest is a complex ecosystem, so animal species are also affected. With the presence of earthworms and resultant loss of the floor layer, tiny invertebrates and microscopic organisms decline, which can affect the entire food web, from amphibians and reptiles to birds, small mammals, and large mammals. Salamanders, for instance, go into decline because their young can't find enough of the duff layer-resident food they depend on. And with the drying of the uppermost ground layer, their habitat is degraded. Where do these earthworms come from? It's believed that the non-native ones that are found here were first brought in ships from Europe. Soil was used as ballast in the holds of those ships, and it no doubt contained earthworms. Potted plants were also brought here over time. So that's what started it all. Now, we also have some from Asia, including the latest invader, the "Jumping Snake Worm" (aka "Asian Jumping Worm", "Crazy Snake Worm"), Amynthas agrestis. The movement of the invasion front radiates outward from wherever the worms are introduced; it happens much more quickly as a result of human activities than from the natural advancement of the worms. Now that the worms have become established, we spread them by various means. We move topsoil from one location to another; fishermen may discard unused bait worms; gardeners encourage them in compost piles; well-intended community composting sites provide soil containing worms to anyone who wants it; landscaping practices move plants with soil and worms long distances. Worms deposit tiny eggs and cocoons in the soil, and these can easily be undetected and transported into forest interiors (eg, in soil caught in the tread of tires, or even boots). 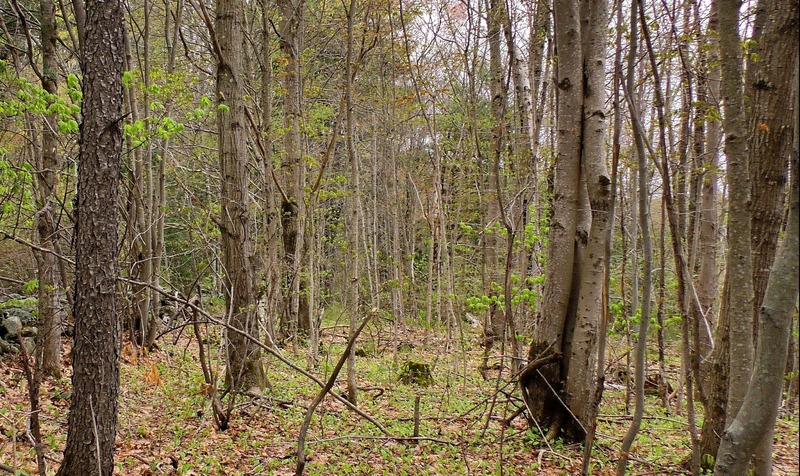 Heavy deer populations compound the problem when they browse herbaceous plants and tree seedlings. Add logging to that, and you really have a recipe for declining forest cover. We have produced a new short film, "My Forest Has Worms", to show the nasty effects invasive worms have on our northern forests. 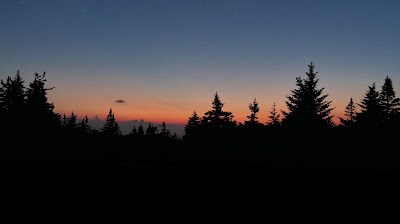 You can view it on our New England Forests Youtube channel, or in the player window below (player might not be available if you're reading this in an email feed). It's becoming more and more clear, on many levels, that we have gone far beyond what wisdom would suggest as the limit of forest exploitation in New England. Early European settlers faced daunting challenges upon their arrival here, having known only a homeland that had already largely exhausted its forest cover. The magnificent timber they encountered on these shores was seen not only as a fabulous, infinite resource, but an imposing wilderness that had to be defeated, cleared, and replaced with crops. Had we been in their shoes, we no doubt would have felt the same; it was a matter of survival. But we are now long past those days of "opening up the land for farming," and of homesteading and back-breaking travails. We see that, in establishing this country, we've been overzealous in our conquests, and maybe we should apply a bit of restraint. Forest cover has returned to a large extent in New England, and we have mostly stopped clear-cutting. However, we still operate on the theory that we can continually cut trees that have reached the ripe old age of 60 or so years, and that that is "sustainable". 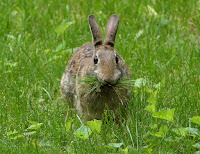 But now there is weighty pressure today, at least in Massachusetts, to once again remove a significant percentage of our more "mature" forests (which, in biological fact, have barely reached their adolescent years) to create more early-successional habitat, from grasslands to young, small-diameter trees. Why? 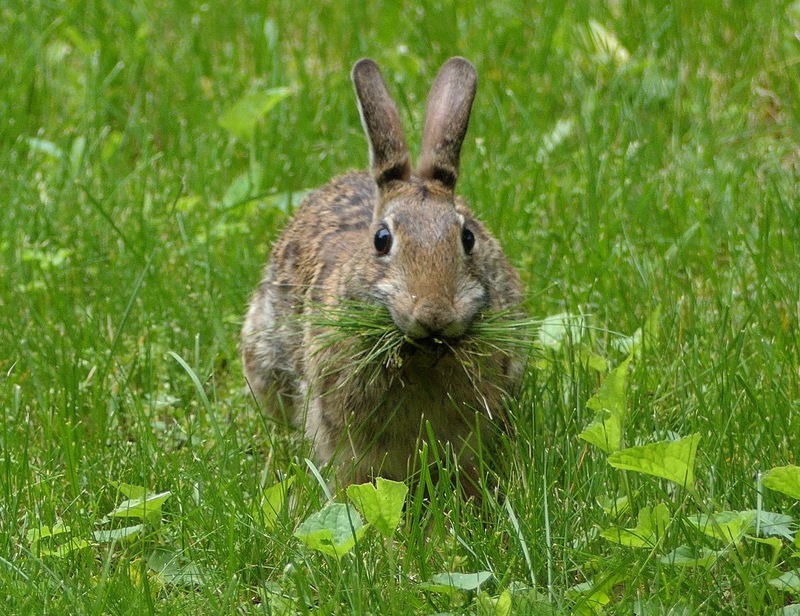 Such conditions favor several game species (deer, turkey, rabbits, some bird species, etc), which sounds attractive. And it actually is attractive habitat, which I've always enjoyed. But there is no shortage of deer, turkey, and rabbit here. In fact, they've become nuisances in many suburban locales. Even far more disturbing is the latest money-making bonanza: burning wood on an industrial scale, aka "biomass". The proponents of this ill-conceived plan state that this is a wonderful, sustainable, green, carbon-neutral way to generate energy and deal with the climate change issue. They have, in other states to the south and west, promised that they would burn (and/or make wood pellets from) only the "waste" wood that is a byproduct of logging (ie, poor quality trees; and branches, bark, sawdust, etc). Sounds like a good idea, doesn't it? If that's your reaction, you owe it to yourself to see a film on the subject as soon as possible... "BURNED: Are Trees the New Coal?". 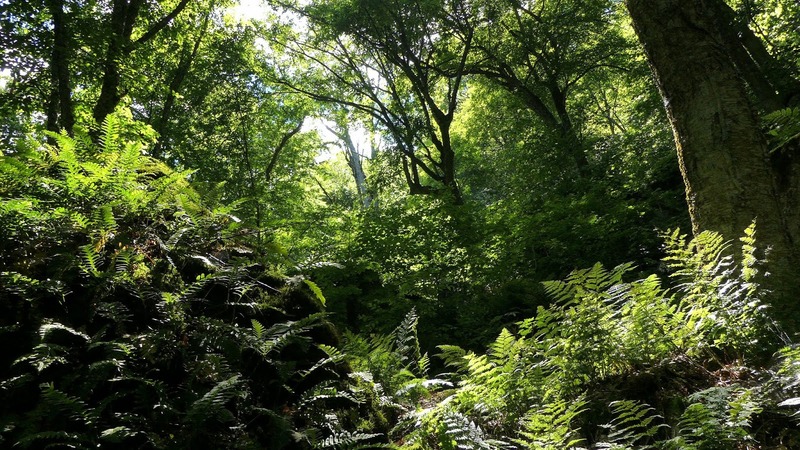 "There was a forest here last week..."
I saw the film recently, and I can promise you it will change your mind about supporting the biomass industry. 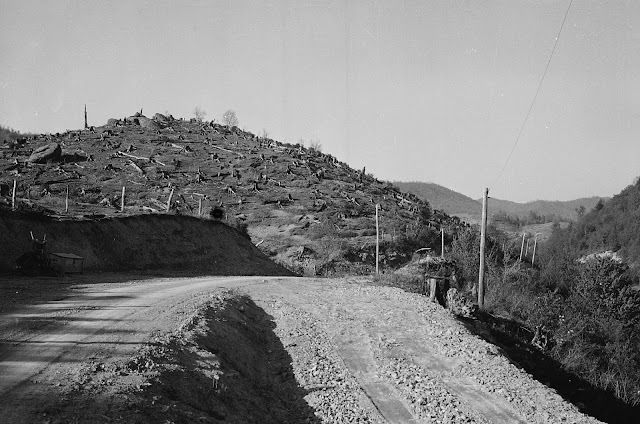 What has been done to forests and people in the southeast and upper midwest is unconscionable, and about as far from "green" and "sustainable" (whatever those terms mean), and carbon-neutral as one can get. Would you suppose that burning old creosote-soaked railroad ties and tires (to the tune of thousands of tons at a time) is a good practice? Is it advisable to level entire forests and burn every pound of woody matter that once was tree? Furthermore, the wood pellets being produced from our razed forests are mostly being shipped to other countries around the world... we're destroying our natural environment so that foreign countries can benefit at our expense. That's what has occurred in other states. It may not go to that extreme in New England states. But once an industry and infrastructure are in place to make pellets and burn wood, do you suppose there would be enough "waste" wood to keep them going indefinitely? Or is it likely that, before long, whole trees and forests will be on the chopping block for furnace fuel? It is known that burning wood, especially on an industrial scale, pumps much more carbon dioxide into the atmosphere than burning coal or fossil fuels. That will only exacerbate the greenhouse gas effect that worsens climate change. At the same time, the forests that had been actively removing carbon dioxide from our air by locking up carbon in their trees and soils would be removed, thereby making the problem even worse. 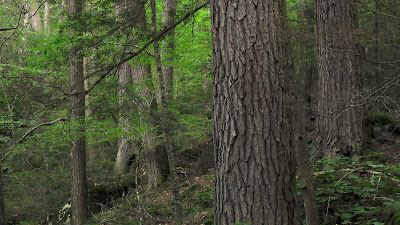 The claims made by the forestry industry that young, vigorously growing forests sequester the greatest amounts of carbon (thereby removing carbon dioxide from the air) sound plausible. Trees produce wood, and wood is largely composed of carbon. So, it seems to make sense that a rapidly growing young forest, such as you'd see regenerating after a cut, would be packing carbon away in the new trees: you can easily see that a whip of a sapling has grown several feet in height in a year in some cases. And it's true, those trees do sequester carbon in their wood. But what's not broadly understood is that large, older trees are much more productive in that regard, and are laying down far greater amounts of wood in their massive trunks, limbs, and roots. They have huge crowns of foliage that are photosynthesizing a much greater amount of sugars than a sapling or small tree can, and that's what is packing carbon away for long term storage. It may not appear that big trees are growing as much as young trees are, because their new growth is mostly occurring way up under the lofty crowns, where the old trees are putting on girth at a greater rate than in their lower trunk (the greatest amount of growth takes place just under the crown, where the most photosynthates are available from foliage). Think of the shape of a tree trunk... it tapers down toward the top of the tree, like a cone. As years go by, the trunk thickens, and grows taller. Eventually, a maximum height is achieved, but growth still happens: the upper regions of the trunk increase in diameter more than the lower region, and the trunk becomes more columnar than tapered. Carbon is still being drawn from the air and converted to wood tissue, just more so toward the top of the trunk. And because of the large circumference of the trunk (and limbs, roots), a greater absolute amount of wood is being created in the large old tree than in a puny young tree. It's that simple. Cutting down a forest to burn its wood, then claiming that the regrowth of that forest counterbalances the carbon emissions is pure folly. The burned wood puts carbon dioxide into the air, and it will take decades or centuries for the regenerating forest to recapture that carbon. It's like scrapping a car and melting the steel down to be recycled. Yes, a new car can eventually be made from the metal, but in the meantime, you still don't have a car! Plus, the cut forest no longer produces oxygen. Forests (and oceans) are by far the best tools for removing carbon dioxide gas from our atmosphere. They are absolutely essential to life on this planet, maintaining a life-supporting balance of gases in our atmosphere. Rather than more young, early-successional forest, what we sorely need is much more old growth forest. That could come about by designating as "no-cut" some percentage (or all) of the maturing public forests we currently have. 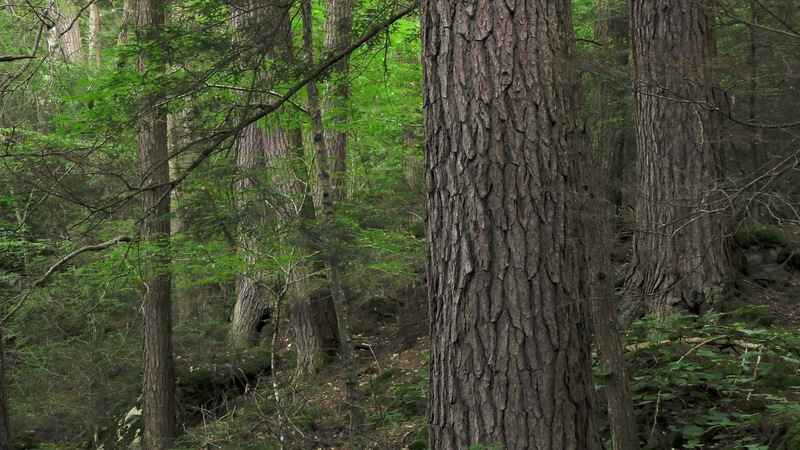 Many of those second-growth forests are over a century old now (but not yet old growth). They are highly valuable as carbon sinks, and should be left completely unmanaged, to become old growth once again, just as nature had been doing for eons before we got here. That's what's missing from our environment: old, natural forest. And I don't mean park-like stands of 75-year-old trees, and certainly not monoculture plantations. I mean true old-growth forest, where natural processes take place, unhindered by humans. It will take strong public will to allow nature to carry on its timeless work, but it can, should, and must, be done. 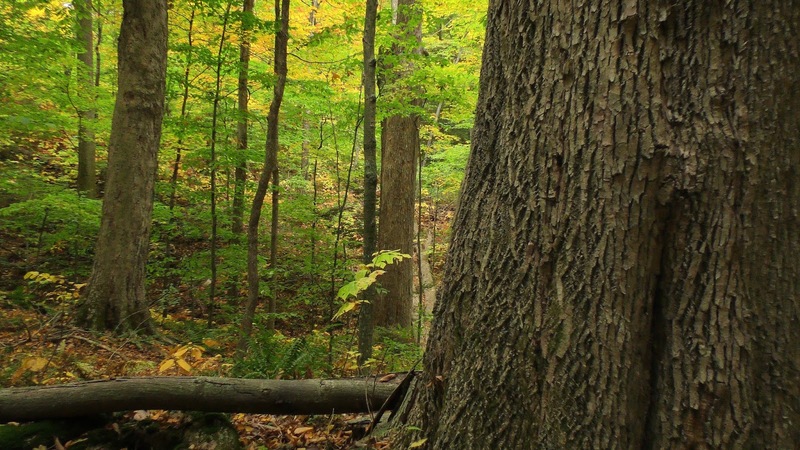 Old growth forests have many benefits besides carbon sequestration. They are unmatched at providing clean water. They filter pollutants from the air, and are oxygen factories. They maintain the genetics of trees that have survived and persisted through varying conditions for centuries, assuring adaptability to fluctuations in climate, to imported diseases and pests. They prevent erosion of soils into our waterways, and mitigate potential flood events. They create macro- and micro-habitats that foster a great diversity of life forms not found elsewhere. Their soil-borne mycorrhizal fungi networks interconnect trees and plants, greatly improving the health and viability of all those connected members. And, not least of all, they beckon to our human spirit; we intuitively know that "all is well" when we immerse ourselves in nature's holiest of places. Our 2018 film "The Lost Forests of New England" was first publicly screened in July at Harvard Forest's Fisher Museum to an overflow audience. In fact, a second room was put into service, with its own screen, to accommodate those who couldn't watch in the main hall. Following the film, a panel of experts took questions from the audience. We heartily thank Dr. David Foster and his staff for hosting the premiere showing of this old growth forest film. It was gratifying to see the large audience response, and it's clear that the topic of old growth forests is one of great interest to New Englanders. That event generated a lot of local interest in the film, and a number of additional screenings are being scheduled in Massachusetts. On the evening of September 21, 2018, the Mt. Wachusett Visitor's Center will host the next showing. Three days later, on September 24, the film will be presented in Greenfield, MA, at the Greenfield Garden Cinema, at 4:30pm, followed by the new film "Burned" at 7pm. On October 5, 2018, there will be yet another showing in the theater at the Berkshire Museum, Pittsfield, MA, at 7pm. More such events are in the pipeline, but not firmly scheduled yet. At each showing, there will again be a panel of experts, some of whom appear in the film, to comment and conduct a Q&A session. We hope to see you in one of those audiences! I'm very pleased to announce a new film featuring Tom Wessels (professor emeritus, Antioch University New England), who is a terrestrial ecologist and author. In central New England, it's almost a given that when you walk through a forest you'll encounter at least one stone wall (or, perhaps more accurately, stone fence). Who would build such a structure out in the woods? And why? There are well over one hundred thousand miles of stone fences throughout this region, running every which way through forests. What's going on here? The greatest percentage of the forests here are relatively young, having regenerated following abandonment of agricultural land, beginning in the mid to late 1800's. The stone fences are artifacts of those old farming days. Agricultural land can be of three types: crop fields, hay mowings, and pasture. Each leaves signature characteristics that Tom Wessels has become a master at discerning. Within a long-standing forest, various kinds of disturbances occur that, like the abandonment of a farm, leave their peculiar traces. Wind storms, for example, blow trees over, uprooting them and creating a hole or pit, and a mass of soil that the root ball pulls up and eventually drops beside the pit. 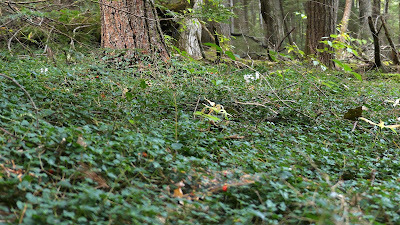 Forest fires and logging leave their own evidence in the woods. Beavers, fungi, and insects all affect the forest. And so on. Tom has written two books to help us understand what we see (and what many of us would never have noticed) when exploring the forest. The first was "Reading the Forested Landscape". I found it hard to put down, and have read it several times; with each reading, a little more sinks in; forest mysteries are finally made clear. Many readers told Tom they just love the book, but still found it difficult to put its insights into practice in the woods. Tom realized he needed to create a "dichotomous key" type of book, a "field guide to forest forensics". And so, book number two on this topic is titled "Forest Forensics: a Field Guide to the Forested Landscape". It walks you through the interpretation of your forest scene, step-by-step. After meeting Tom while filming "The Lost Forests of New England" (in which he appears), I asked if he'd be interested in collaborating on a film based on his books; his answer pleased me, and we jumped into a one-year project. 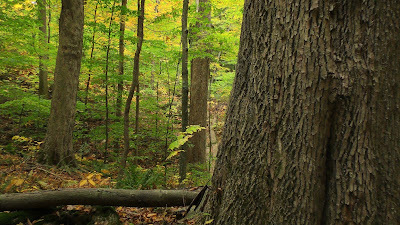 So, we now have a three-part "Reading the Forested Landscape" film for you to enjoy! I would suggest reading the books first (especially the first one), and then watching the film to complement and reinforce what you've learned. But if you watch the film first, then by all means get the books... there's much more material in them than what the film can cover. 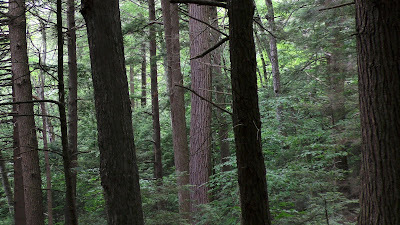 Sites in New Hampshire and Vermont are used in the film, but the information Tom conveys applies to a region well beyond the bounds of central New England. 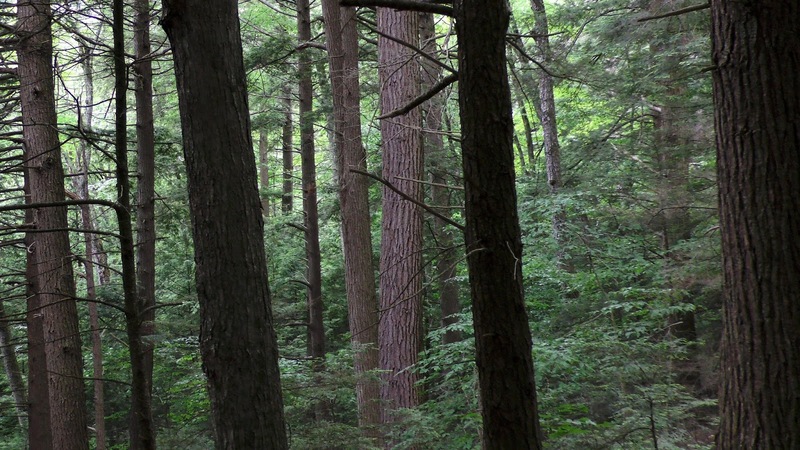 You can watch all three parts of the film on the New England Forests Youtube channel (Part 1, Part 2, Part 3), or by clicking the player panels below (note: if you're reading this in an email feed, you may not see the player panels). Please feel free to leave comments on this blog post, and/or on the youtube sites. Our 2018 old-growth forest film, "The Lost Forests of New England," will be screened at Harvard Forest's Fisher Museum on the evening of July 10, at 7pm. 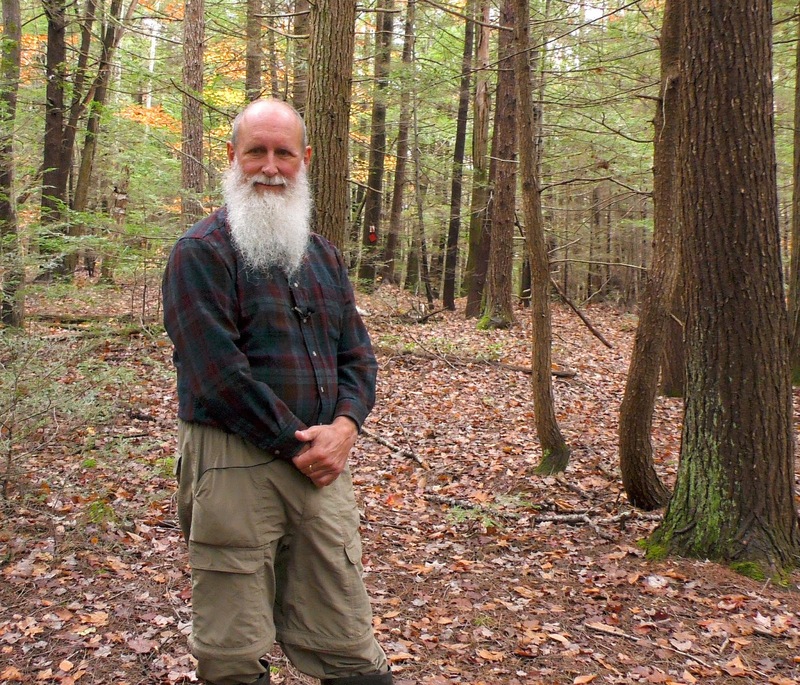 The one-hour film tells the story of central New England's pre-settlement forests, factors that led to the nearly complete clearing of those forests, and the discovery of remnants of those wonderful woodlands. Following the showing of the film, there will be a panel of experts (many of whom appear in the film) present to make brief statements and to answer questions from the audience. The panel will include David Foster, Director of Harvard Forest; Bob Leverett, old-growth forest expert; David Orwig, forest ecologist at Harvard Forest; Heidi Ricci, Assistant Director of Advocacy at Mass Audubon; Bill Moomaw, Professor Emeritus of International Environmental Policy at the Fletcher School, Tufts University; and others yet to be confirmed. Join us to learn the many ways New England will benefit from an increase in natural, timeless, old-growth forests. The event is free and open to the public. Fisher Museum is located at 324 North Main Street (Rt 32), Petersham, MA. Directions are available at the museum's website. Copyright 2016, New England Forests, all rights reserved. No duplication without permission. Watermark theme. Powered by Blogger.